Though most all of the headlines related to Tesla's upcoming Easter Egg focused on the quickness of the Model S, the real star here is the Model X. 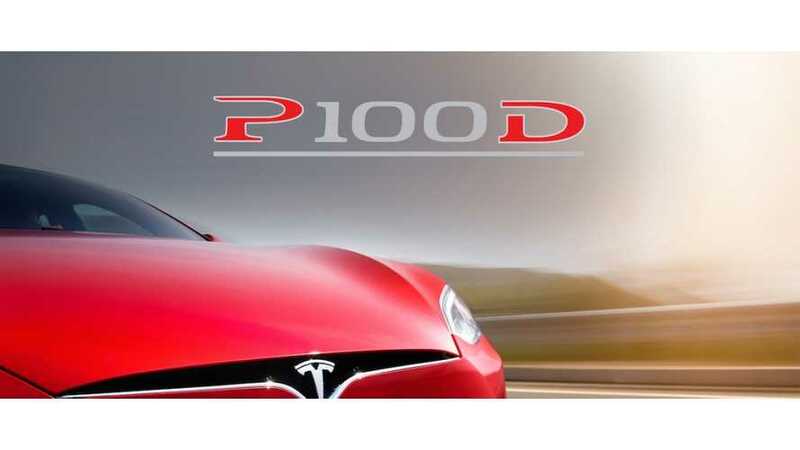 With the soon-to-be-released Easter Egg, a Tesla Model X P100DL will zip from 0 to 60 MPH is just 2.8 seconds (the Model S hits 60 mph now in 2.4 seconds). 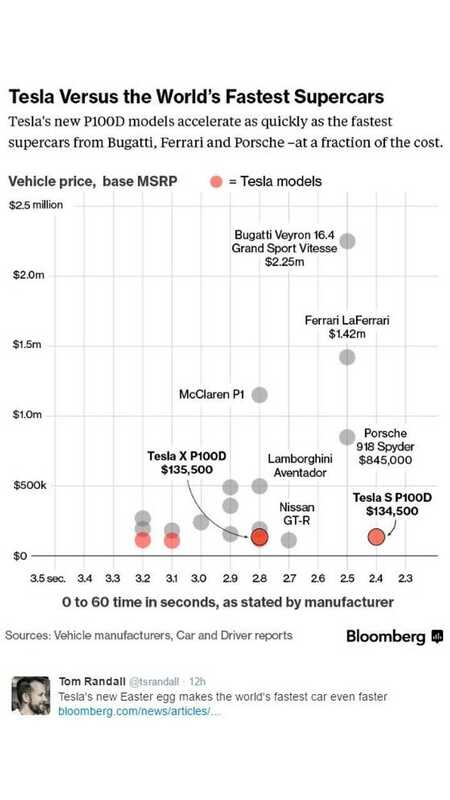 That puts the 5,300-pound electric SUV in the same league as the McLaren P1 and Lamborghini Aventador in terms of off-the-line performance. And if that doesn't amaze you, then it's likely nothing will. 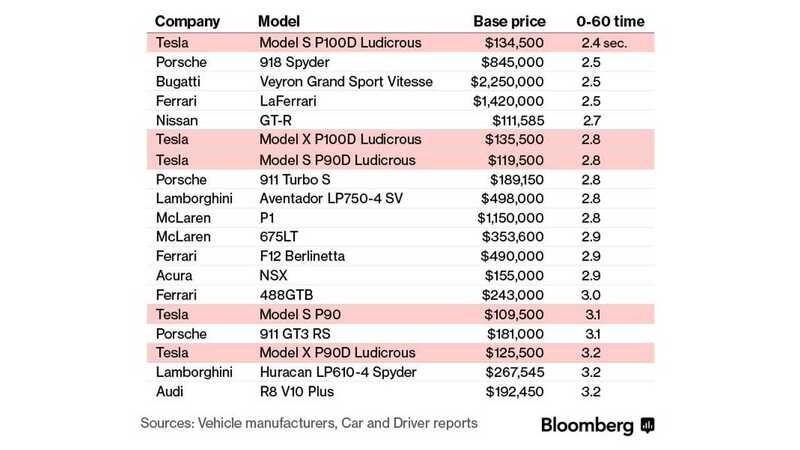 Something else that stands out from the graphic above and chart below is that both the Model X P100DL and Model S P100DL are actually affordable in this league of vehicles. Only the Nissan GT-R and perhaps the Porsche 911 Turbo (to a lesser extent) compete in terms of 0 to 60 MPH at a reasonable price. We do wonder though if this Easter Egg will be able to be accessed repeatedly or if its use will be limited/restricted somehow by Tesla.